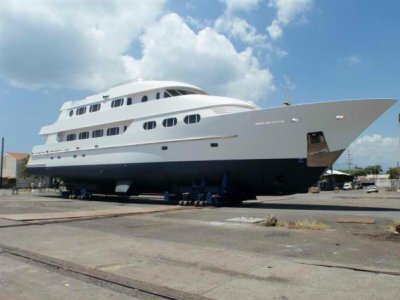 Cheoy Lee's all new 150' Explorer is a progression from the highly successful yachts Marco Polo and Mazu. Both propelled by a single Caterpillar 3512B main engine, the seasoned Marco polo already has multiple Atlantic and Pacific crossings under her belt. 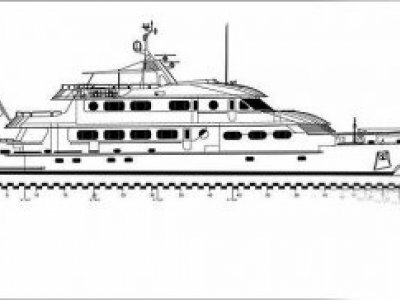 This new design from accomplished naval architect Jon Overing offers an equally comfortable and highly efficient cruising platform, but with increased living space and extended capabilities to explore the world's remotest regions. 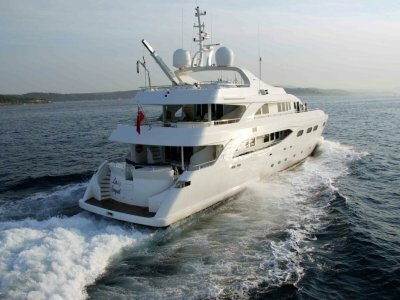 The finest examples of western quality levels on yachts built in the east, these yachts exemplify her builder's approach to modern cruising, with significant emphasis on efficiency and environmental awareness. The concept was for a practical and purposeful yacht, requiring minimal maintenance. 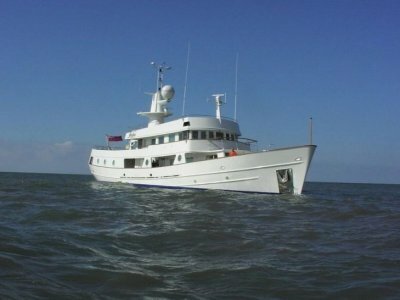 Her seaworthy steel hull has a bulbous bow and efficient single propeller returning 35% better fuel consumption than similar twin engine yachts, and delivering a range of 7000 nautical miles at a 10 knot cruise. Back-up power is provided by a second diesel propulsion engine in a forward engine room. The configuration provides for a far greater level of redundancy over two engines fitted side by side in the same compartment.